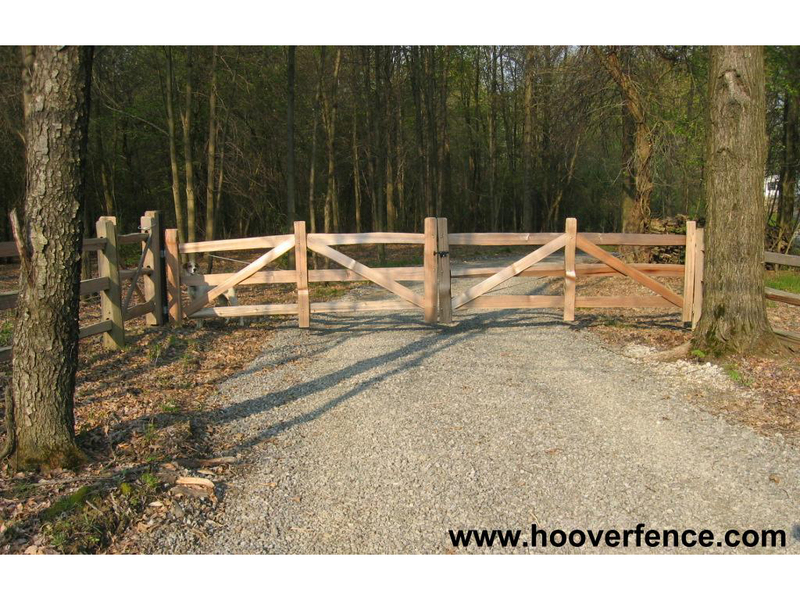 Hoover Fence Wood Split Rail Gates - Western Red Cedar w/ Steel Frames | Hoover Fence Co. These high quality gates are hand made to match our popular Western Red Cedar split rail fence in the 3-rail configurations. 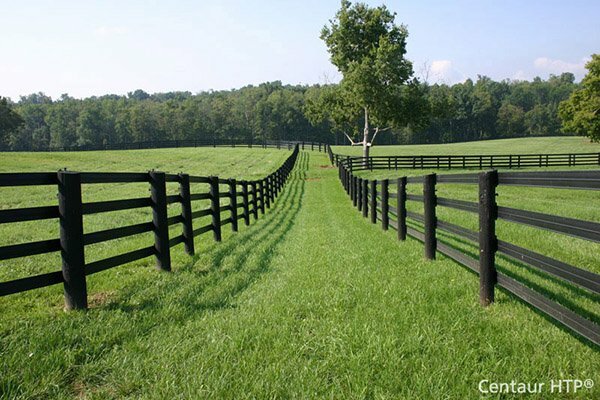 The materials would also compliment our Cedar Stack Rail Fence or any rustic application. 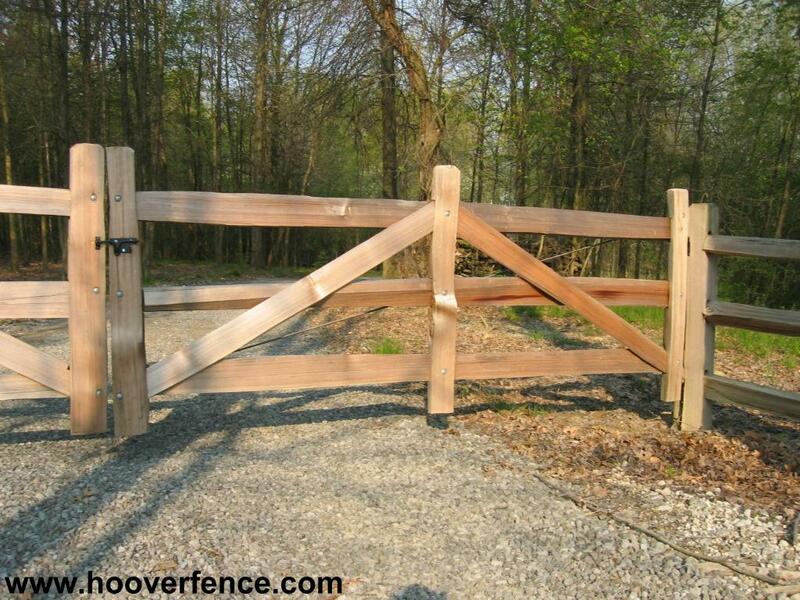 These gates are built to last, and built to accomodate up to a 20'W opening by using two leaves as a double swing gate. Structural galvanized steel frame allows for wider gates. Steel frame allows for gate automation (addition of gate operator). 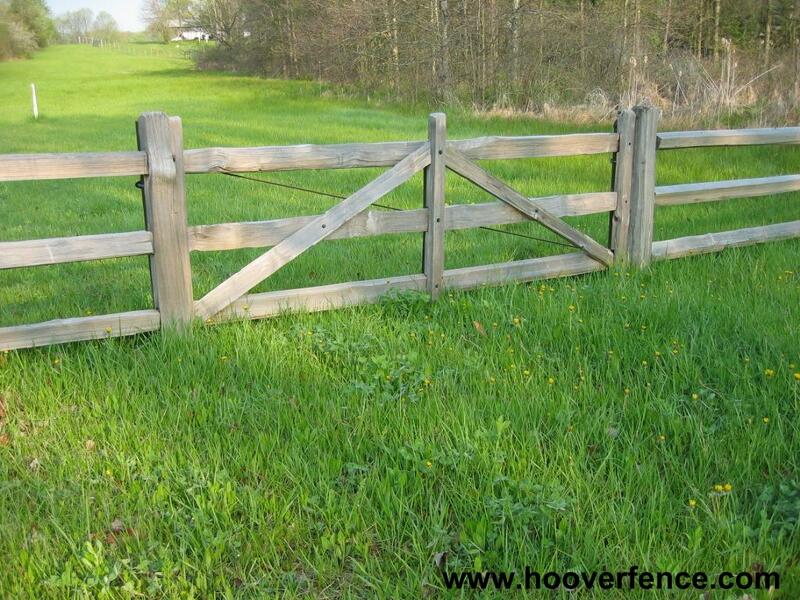 Rustic handcrafted gates match our split rail fence. 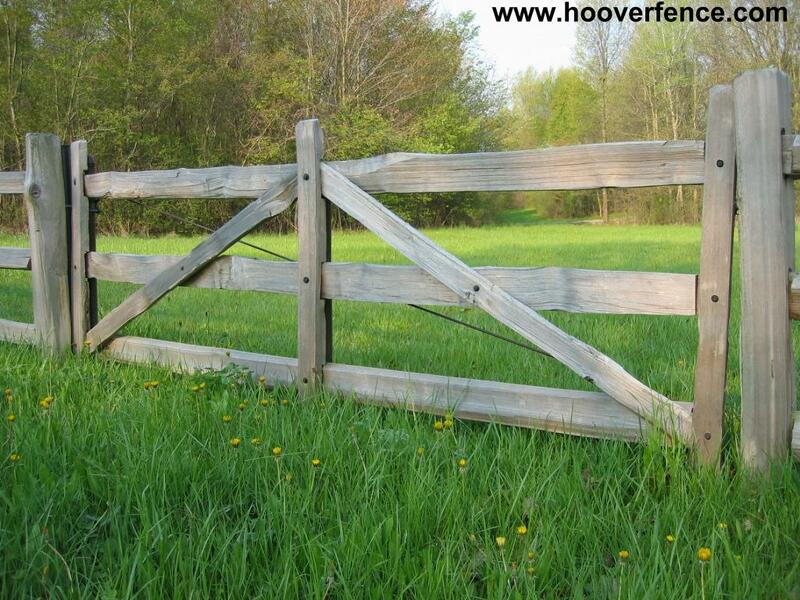 Gates perfect for use in agricultural, commercial, or residential applications. Gates may be installed in single swing or double swing configurations. Compatible with a variety of gate hinges and latches. 4" O.D. HF40 hinge post(s) recommended. 3" O.D. or 4" O.D. HF40 latch post(s) recommended. We recommend using industrial box or arm hinges for hanging the gates. We recommend using a fulcrum latch for securing the gate in the closed position. 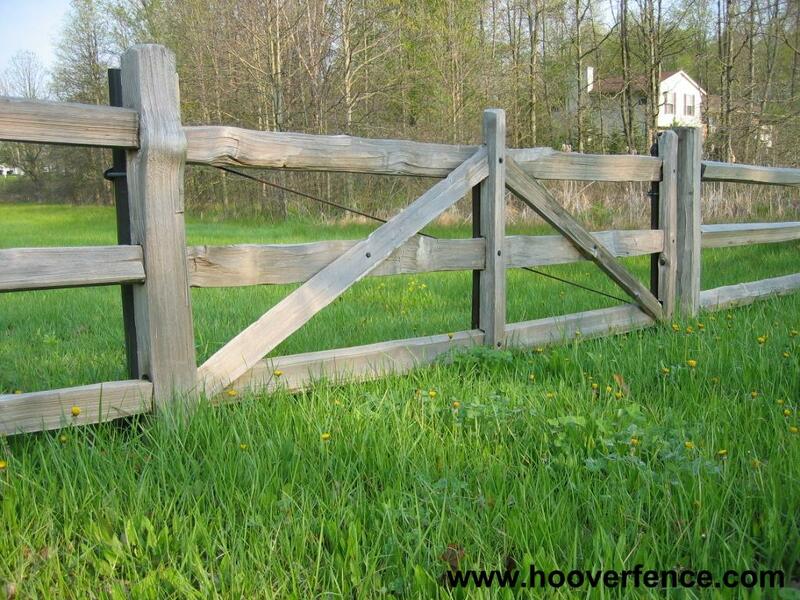 NOTE: Due to the rustic nature of the split rail posts, we build the gates to finish out as close to the width purchased as possible. Constructed of premium 1-5/8" O.D. galvanized tubing (HF40 & HF20). Steel frame bracing varies per gate width. Diagonal truss rod welded to help prevent gate sag. 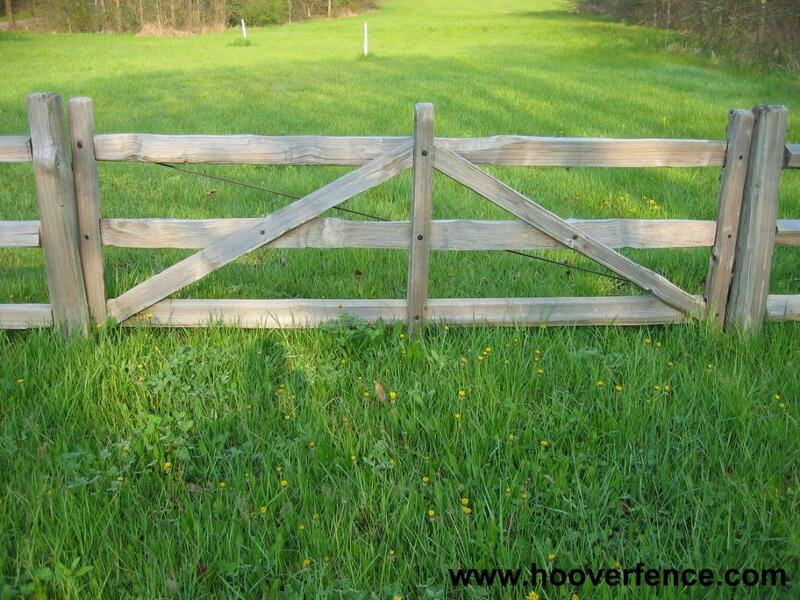 Gates are approximately 4' high to match split rail fence. Currently available in western red cedar only. 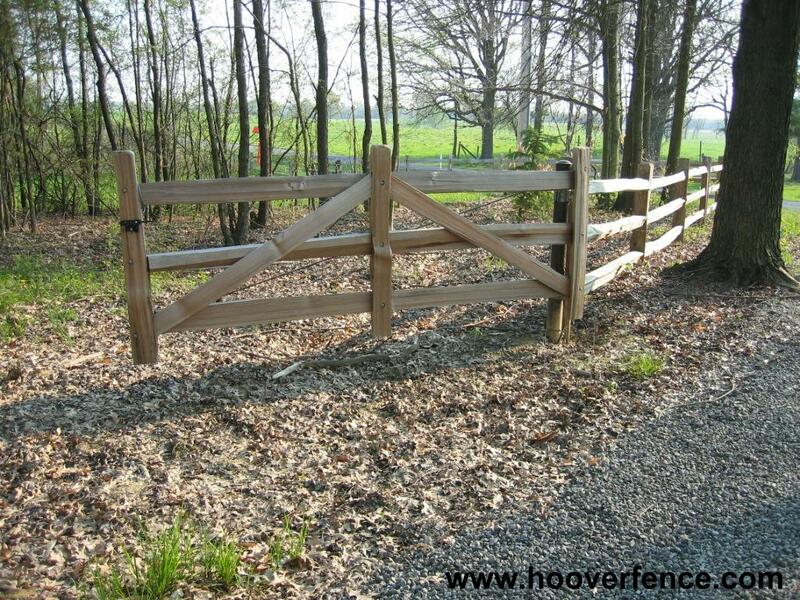 Photos of Steel Framed Split Rail Gates Installation by Hoover Fence Co. 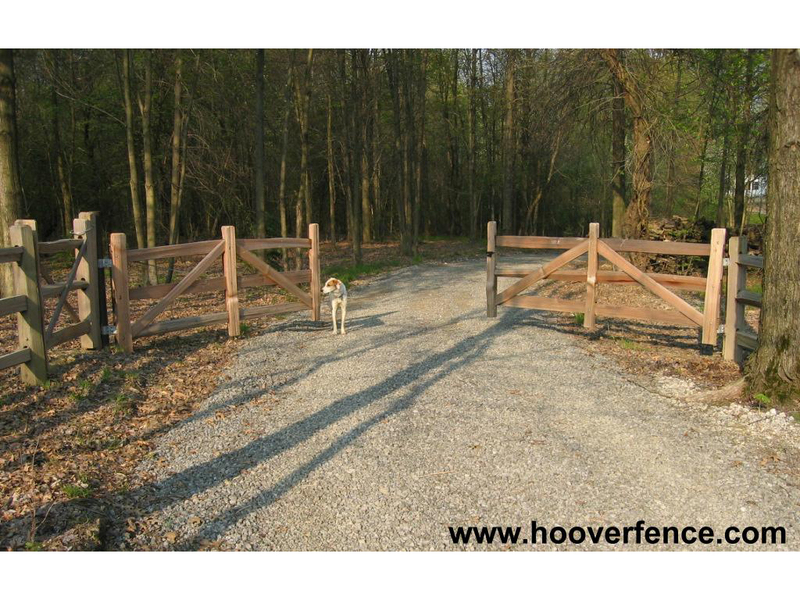 Shown are a 9' wide single swing gate and an 18' wide double swing driveway gate. Both have been custom fit with galvanized steel frames for structural support. Gates above shown mounted to 4" O.D. round HF40 galv. posts. Posts hidden with cedar posts for best appearance.